Nacho Hippo in North Myrtle Beach serves “hip-tastic” specialty cocktails that help transport you to places where the sun always shines and the laid back locals are always welcoming. The Mexican-themed cantina is a part of the Divine Dining Group, one of the largest locally owned and managed restaurant groups on the Grand Strand. 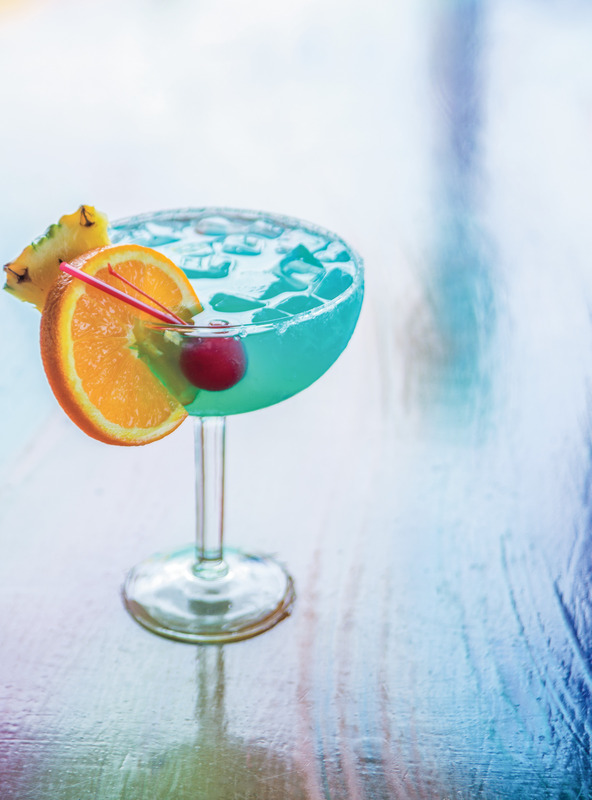 Kenny Taylor, the head bartender at Nacho Hippo North Myrtle Beach, along with Divine Dining partner Nate Anderson, created this issue’s featured drink one evening when the restaurant’s concepts were first fleshed out. “We sat in the back office, tried a bunch of recipes and I kind of came up with this one,” said Taylor, who is most often seen serving at the North Myrtle Beach location with a suntan and a smile, the uniform of all longtime locals. Add all to a shaker with ice and mix well. Strain into large sugar-rimmed glass with ice. Garnish with fresh pineapple wedge, orange wheel and a cherry. Enjoy!